Have you heard of National Photography Month? Well back in 1987, President Ronald Regan, an avid photographer himself, officially recognized May as a time to step back and rethink what we are photographing and how we can become more intentional about taking photographs that will mean something decades from now. How am I celebrating National Photogrpahy Month? By getting caught up and creating my 2015 Blurb book. Usually I build them throughout the year and hit order once the year is done, but last year was pretty busy and I neglected to do my photobook. So I'm doing it now. 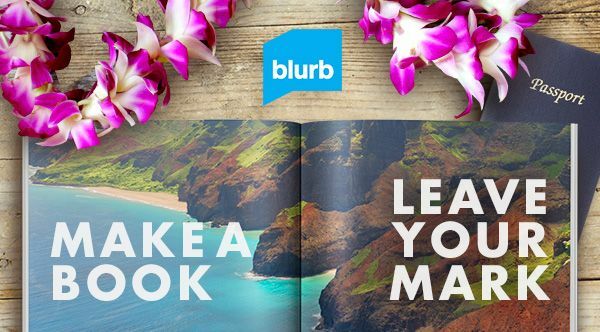 In celebration of National Photography Month, Blurb is giving new customers 35% off their photo book order between May 5th and May 10th with the code NPM2016. Link: New customers get 35% off photo books at Blurb with code NPM2016! Terms & Conditions: Offer valid through May 10, 2016 (11:59 p.m. local time). Valid for printed photo books made by you. A 35% discount is applied to your product total with no minimum order or maximum discount. This offer is good for one-time use, and cannot be combined with volume discounts, other promotional codes, gift cards, or used for adjustments on previous orders.